We realize travelers may experience a variety of needs while on the road and away from home. From printing and copy needs for a conference or meeting, to local dry cleaners or even just a point in the right direction for a great cup of local coffee - we want to help you find all three. 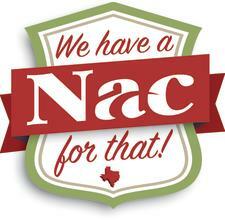 We&apos;ve created a concierge book that contains tons of Nacogdoches information to help you navigate your stay. You can download the book as a PDF for quick reference, browse through it here or even stop by the Charles Bright Visitors Center to view a copy in-person. Whatever you&apos;re looking for - we&apos;re here to help. If you need further assistance, feel free to give us a call at (936) 564-7351. It&apos;s our pleasure to assist.